Make sure the meeting is necessary. In many firms, there are too many meetings. In others, there are too few. Every meeting should have a clear purpose. In determining whether a meeting is needed, consider different options for achieving the same purpose. Could you accomplish the same thing using email, a memo, or a phone call? Would one-on-one conversations be better? Most meetings fall into one of the following categories: (1) informational, where you gather people to share information they all should know; (2) reporting, where meeting attendees report to the group on their activities or findings; (3) brainstorming, where people assemble to share ideas and collaborate on defining a solution or course of action; or (4) decision-making, where people meet to collectively make a specific decision. What's the purpose of your meeting? Review what you need to accomplish and then determine whether a meeting is the best means to do it. Distribute an agenda in advance. Send out an agenda a day or two before the meeting to allow participants to prepare and make a more meaningful contribution. Always clarify in your agenda what the meeting's objectives are. It's usually a good idea to allocate a certain amount of time for each agenda item. You will need to balance the desire to have adequate discussion with the goal of keeping the meeting as brief as possible. Experts suggest that most meetings should last no longer than 1.5 hours. 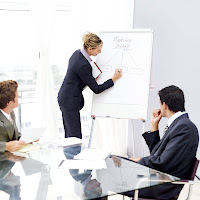 Assign a meeting facilitator. 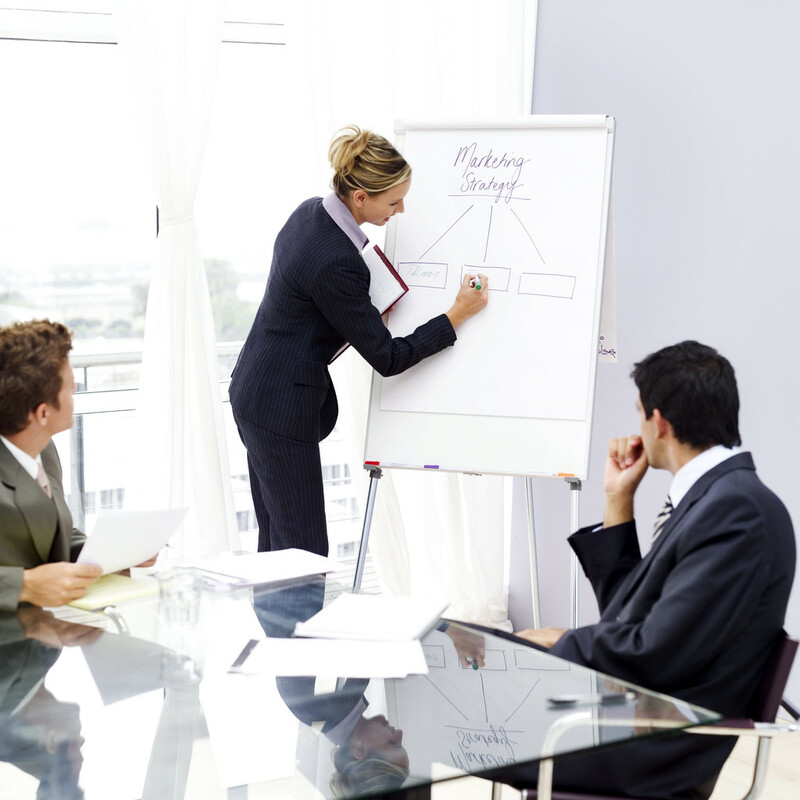 Virtually any meeting will be more effective with a competent facilitator. Hopefully you have one or two in your office; if not, consider hiring one for important meetings. The facilitator is responsible for keeping the meeting on topic and on time, orchestrating participant interaction, and guiding group decision making. Don't automatically consign this role to the person "in charge" (e.g., office manager or project manager). For one thing, that person may not be a good facilitator. Secondly, there are some inherent advantages in not having the boss run the meeting. Schedule most meetings for late morning. Participants tend to be fresher in the morning, and protracted discussion will be discouraged by the desire to break for lunch. Early morning meetings can cut into what is for many people their most productive time of the day to do their work. The exception is when a meeting is helpful in planning or preparing for the day's activities. Deal with the most important issues first. Attention is the highest at the outset of the meeting, so that's when you want to tackle the highest priority or most challenging matters. Pushing lower priority issues toward the end of the meeting gives you the option, should time run short, of delaying that discussion or dealing with the matter outside the meeting. Encourage everyone to contribute, but place limits on discussion. A skilled facilitator knows how to manage the dynamics of group interaction. Naturally, some participants will be more vocal than others. But that doesn't mean they have the better ideas. Try to give everyone a voice, and politely prevent individuals from dominating the meeting. In some cases, it may work best to have one-on-one conversations before or after with the most reticent participants. Managing discussion is probably the facilitator's toughest responsibility. There are no specific guidelines on how long to allow discussion on an issue or when to cut off the conversation. When I'm facilitating, I usually intervene when discussion runs long and ask questions that help focus the dialogue and move the matter more quickly to resolution. I also typically redirect off-topic comments or questions to the "parking lot," where it is captured in writing to be addressed later in the meeting or afterwards. Work toward "practical consensus." Consensus means that most participants agree and those who don't can accept the majority decision. But it's not that simple. Some people wield more influence and power in the organization, so their agreement is critical. They can undermine any course of action they don't buy into. So in practical terms, consensus means getting agreement among the people who are needed to put the decision into action. When necessary, assign a smaller group to tackle an issue outside the meeting. Sometimes it's prudent to defer certain discussions or decisions to a later time. This may involve assigning a team to address the matter further and perhaps report back at a future meeting. Some issues are more difficult to resolve in a larger meeting, some simply don't deserve the attention of all meeting attendees. Often assigning the matter out to a working team is necessary because there's not enough time to reach a conclusion in the meeting. You want to try to avoid letting an unresolved matter bog down or derail your meeting when its settlement is not critical to achieving the meeting's purpose. Defer or delegate it instead. Take notes and follow up. Be sure someone is assigned at the outset to take notes. As facilitator, I typically capture the main points on a Post-It type sketchpad (where sheets can be displayed around the room). If someone can also keep more detailed notes, that's a plus. After the meeting, you should distribute minutes--with a focus on action items--to attendees and others as appropriate. A successful meeting is, of course, judged in large part by the actions that follow it. Always assign a single individual (not a group) for follow-up on each task defined in the meeting. Be sure the deliverable is understood and a deadline is set. Determine how and when progress on action items will be monitored. It's also a good idea to at least occasionally review how meetings went and identify ways to improve on future meetings. This is particularly true on recurrent meetings. There are always opportunities for making meetings more productive. You should also consider meetings that weren't held (like kickoff meetings) that could have improved productivity. Bottom line: Meetings consume too much of your time and influence too many important outcomes to take them lightly. Be deliberate in planning and managing meetings to get better results. The potential payback is substantial.